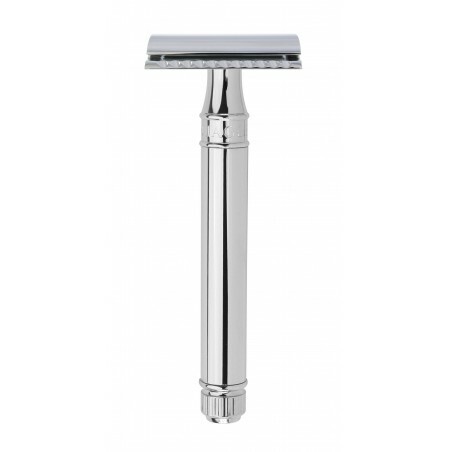 Edwin Jagger Double Edge Safety Razor DE8914bl, long handle. 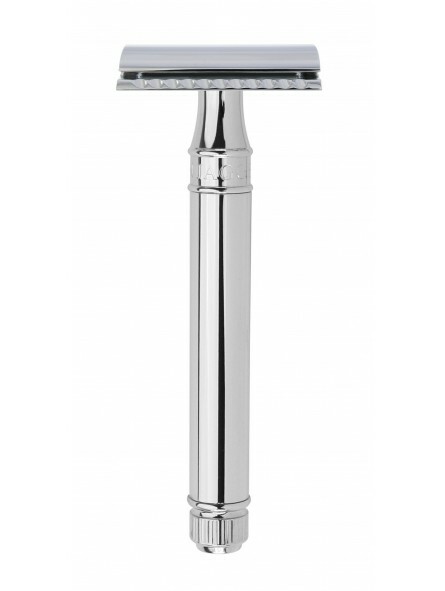 Extraordinary chrome double edge safety razor Mounted with the well-known DE Edwin Jagger head, a high precision head designed by experts and made with high quality chrome. An extremely well balance safety razor that will provide you a smooth and close shave. Carries comfortable bright chrome with Edwin Jagger inscription on it. The difference between the DE89BL and DEL8914BL is exactly 1cm length. Safety razor offer with 1 Feather double edge razor blade. All deliver in an elegant box by Edwin Jagger.